Photographers, wedding planners, wedding vendors and brides and grooms: Get your weddings published in CaliforniaWeddingDay.com and in California Wedding Day magazine! We are looking for fabulous, creative and beautiful weddings that took place in California. We want to feature couples who have inspiring, innovative ideas to personalize and localize their weddings. We accept submissions on an ongoing basis for CaliforniaWeddingDay.com, where we publish real weddings and styled shoots at least once a week. To be considered for publication in the Summer 2019 print edition, you must submit a wedding by February 1, 2019. Weddings featured must have taken place in the state of California. We are looking for weddings that occurred between May 2018 and January 2019. We’re interested in beautiful weddings with new, creative and inspiring ideas for decor, reception sites, catering, invitations, entertainment, flowers, cakes, etc. We look for a variety of styles of celebrations, from classic or glamorous gala affairs to vintage and new rustic barn weddings and from urban rooftop celebrations to weddings on the beach. We're also inspired by cultural, ethnic and sexual diversity. 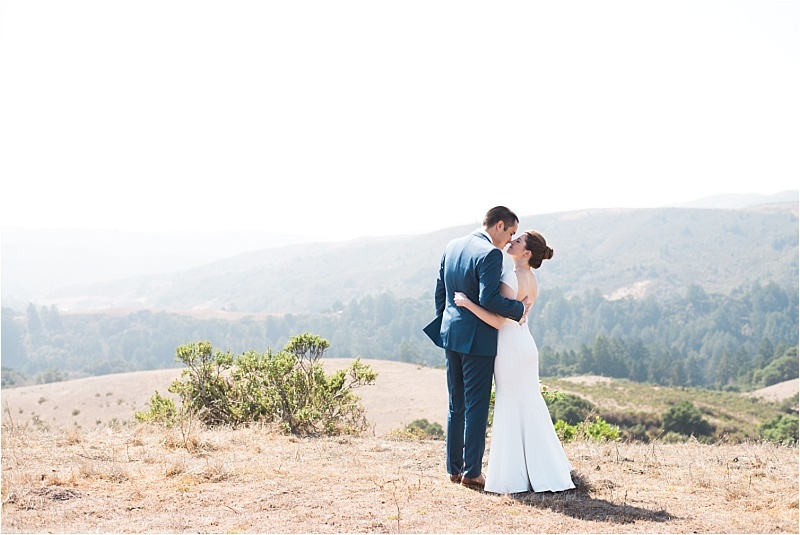 With the countless amazing locations here, we only feature weddings that occurred in the state of California. We welcome submissions from anyone involved in the wedding: planners, event decor professionals, photographers, caterers, florists and the couples themselves. Please simply consult with the photographer and couple about the image selections and to get permission to submit the photos. Please share a selection of photos that provide an overview of the look and style of your wedding and that illustrate, in a documentary/storytelling style, all the important elements and details of the event. We are most interested in seeing the new, exciting and on-trend details that made the wedding special, rather than standard images of the couple, wedding party (though of course we want to see the best of those, too!). Also, keep in mind we like to showcase elements of real local weddings in many different ways online and in print. We are now accepting submissions solely by email via dropbox link or a private photo link. ● You MUST fill out the below form in order for your submission to be considered for either print or online. This form asks for details on the couple, including their wedding date and venue, as well as a complete vendor list. Please fill this sheet out in its entirety and submit it along with image link to cwdrealweddings@tigeroak.com. ● Do not send the same images that will run in your advertisement. ● Do not send out-of-season images, old images or images that have already been published. ● Do not send all of the photography from the wedding. Edit to your best shots (about 40-60 per wedding). ● Finally, it's important that you send us exclusive photos; we cannot feature weddings that will appear in another print publication. By submitting this wedding, you are agreeing to refrain from submitting it to any other wedding magazine until you have confirmation from us whether the wedding has been chosen for publication online or in print. At that point, you are free to submit to other publications or websites. Note: it is okay if the photos have been posted to your own website or social media page. ● If your wedding is selected for print publication, we will contact you and your photographer to request high-res versions of any images we have selected to run in the magazine. By submitting these forms, we assume you have received proper releases from any individuals and locations features in the photos. We also assume you are only submitting photos your clients have approved for publication. Photos you submit may be featured in the print version of the magazine, on our website or both and all vendors will be credited. We reserve the right to determine which images are published in print and online. a) The use of art in connection with the magazine title will not infringe or violate the rights of any other person or entity, including without limitation, any copyright, trademark or service markright, or violate any applicable law. b) The supplier of the art/photography hereby agrees he/she will obtain adequate and proper releases, permissions, licenses or other authorizations from all persons and entities who or which provide services, materials or rights with respect to the work at the time of submission of final artwork who would claim any interest or right, direct or indirect. Public figures or celebrities are exempt from signing a release.